The term tactical air power is one that brings certain images into the minds of those who either use the term or hear others speak of its role. It does, however, suggest that the effect that air power has in this context is purely at a local level. In fact tactical air power, can have effects across the spectrum of strategic, operational and tactical levels of command. In particular, no matter where women and children die, the images of the bodies can have a huge strategic impact. Tactical air power had a limited impact upon the First World War. In the immediate aftermath as the conflict continued against the Bolsheviks and in Macedonia air power did start to have more of an effect on the ground. Gradually, in this short period which many military historians ignore, the ways of using air power to support ground troops and to make forays across enemy lines were consolidated into emergent military planning and doctrine. In Somaliland in 1919 air power achieved its first example of ‘air control’: a form of local policing of the population using air power. The basic idea was that if a local tribe became restive, leaflets would be dropped explaining in their local language what was expected of them by the local military commanders. If they continued to misbehave they would be warned that they would be bombed. This was a different form of asymmetric warfare; a very one-sided affair where those enforcing the governance of the Empire used air power to ruthlessly suppress any dissident voices. For nomadic tribesmen in these areas the ability of air power to locate and attack them was very different from dealing with ground forces. Needing to restore some semblance of government to Somaliland which had been beset by an insurgency since 1899, Air Marshal Trenchard sought to apply air power at a time when a ‘boots on the ground’ deployment was not practical. Using leaflet drops the RAF gave the head of the insurgency an ultimatum. His inevitable rejection of the demand was the catalyst for a three-week campaign to unfold in which air power was used to aid a small ground force to overcome the insurgency. Cost comparisons published at the time put a gloss on the achievement of air power suggesting that the air campaign had cost considerably less (£77k) than a conventional approach (circa £5M). Historians note the timely death of the insurgent leader and the lack of collateral damage as being important factors that saw a positive outcome. In 1921 the British sought to apply air power in Mesopotamia. Other campaigns were to follow across the Empire. It may be fanciful to suggest that sometimes the most lasting of developments in military power occur in conflicts which are not widely viewed as significant but it is a point worthy of reflection. Often the collective psyche on military history subconsciously dismisses any confrontation or battle that has low levels of casualties. Somehow only new developments in war are forged in the heat of battle. The Malthusian notion that ‘necessity is the mother of invention’ is somehow taken to be a panacea that suggests military commanders are only able to innovate in conflict. There is evidence that suggests that would be a very narrow viewpoint. Sometimes in what some may be keen to label as ‘military sideshows’ gradual developments take place in the application of military power that set new refined operational concepts develop that can then form the baseline for future major military confrontations. One example springs to mind: the Spanish Civil War. While this was a terrible conflict for the people of Spain drawing in people from across the world to support either side in what was seen as a fundamental clash between vastly different ideologies, a new tactical evolution of air power arose. This theatre of war was where the famous Stuka dive-bomber was to get its first and defining operational experience. 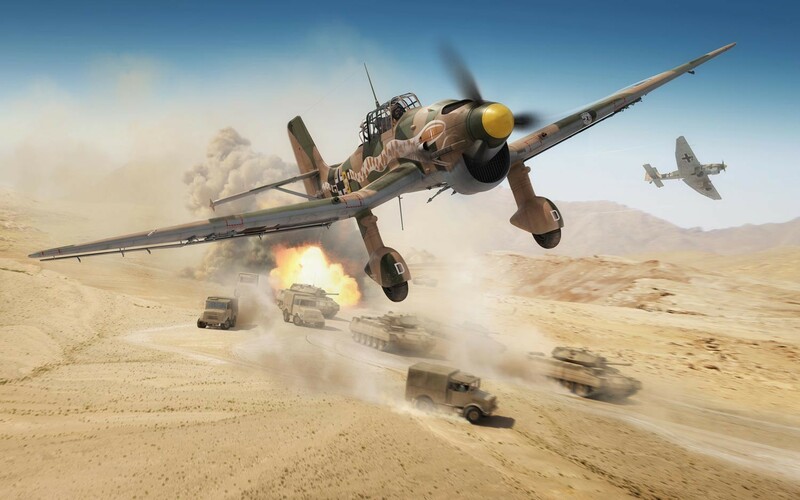 While the number of Stukas committed to the Legion Condor was small and their military impact virtually insignificant, the pilots and operators of the aircraft had learnt some important lessons that would carry them into the Second World War. While some writers suggest that the Spanish Civil War was a testing ground for the Second World War, their comments are sometimes too general. The essential elements of blitzkrieg were developed in German doctrinal thinking more than fieldwork in Spain. Besides, the nature of the engagements in Spain was not in the classic sense frontal. The battlefield in Spain was quite fragmented. Often the demarcation of where the opposing sides had secured land was unclear. Blitzkrieg was arguably at its most effective when two forces opposed each other along a distinct front. 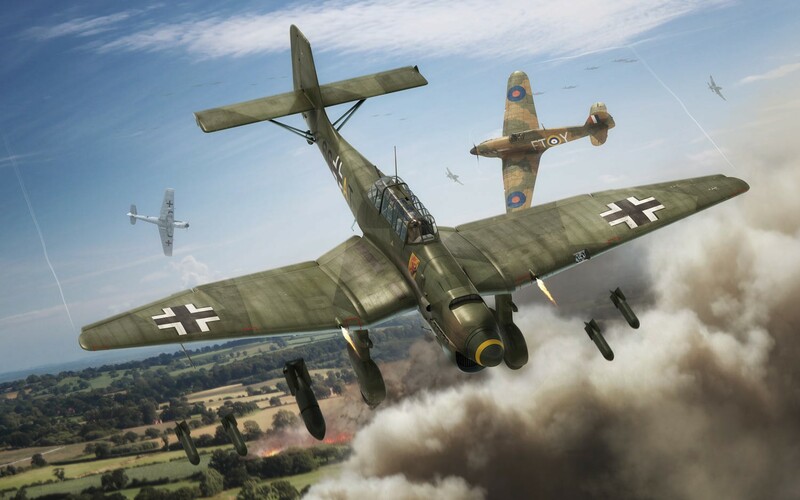 Blitzkrieg was the result of a major tactical innovation drawing close air-support fighters, the Stuka bombers. In the Second World War aircraft like the Typhoon would swoop down from the skies over Normandy in the run up to D-Day or its aftermath and attack logistic supply lines trying to bring supplies forward to the front line. Attacking the enemy in the rear was important to relieve the pressure on the front line. In the desert Montgomery had applied similar tactics to disrupt Rommel’s supply lines before the Battle of El Alamein. In the desert in the Second World War tactical air power was applied with little accuracy. It was carpet-bombing at a local level. 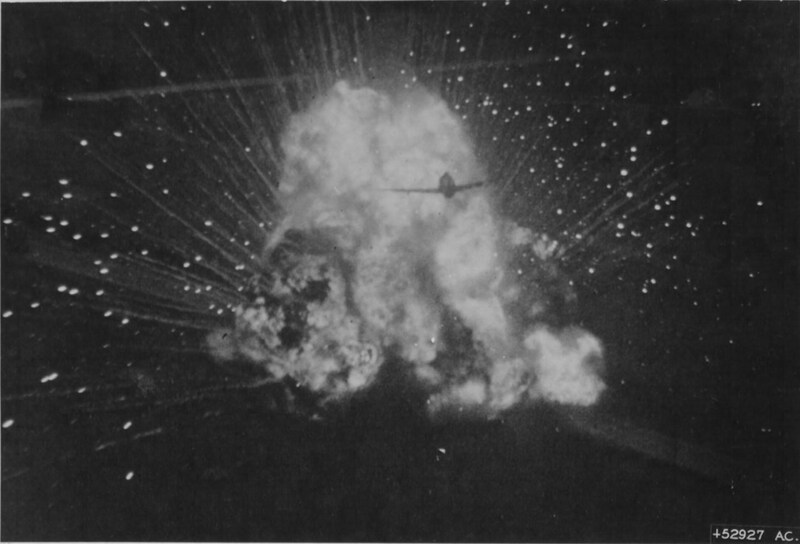 One thing had an overriding effect on the application of tactical air power: the desire to avoid dropping bombs on one’s own side. In seeking to avoid that on what could often be dynamic and fast-moving battlefields, air power was often constrained to operating against fixed formations. Problems also arose has to who owned the air power. Army commanders wanted air power to be available under their direction. Air force officers, however, had often been indoctrinated into the strategic role of air power. Its tactical application was something they did not fully appreciate. If army commanders saw a target that they thought air power could attack, they wanted control of the assets to make that happen. Limitations on the way air power could be used in the tactical domain arising from endurance and tasking issues associated with communications issues often added further restrictions on its application in a ground-attack role. Doctrine writers had also stressed the application of air power to prevent hostile reconnaissance. Air power was about air superiority and making sure the enemy could not see army formations on the ground. The ground-attack mission was seen to be a far less urgent requirement. In recent campaigns the availability of in-flight refuelling has transformed the application of tactical air power. Missions now last many hours as pilots fly over areas waiting to be called into a strike. Over the desert in 1942 that luxury of in-flight refuelling was not available. When missions were developed they often had an operational focus, working to interdict enemy supply lines and rear bases. Ironically it was in the crucible of the initial forays into Normandy after D-Day that the shape for future applications of tactical air power developed. Interestingly its foremost advocate was General Patton. He was to acknowledge that it played a pivotal role as his army drove across Europe after its break-out from the Cherbourg Peninsula. The author David Spires writing in 2002 documented the ways in which General Patton working alongside his tactical air commander Brigadier General Otto Weyland pioneered air operations at the tactical level. The success attributed to Patton in taking his Third Army across Europe owed a lot to the relationship he forged with Weyland. The two could be described as the ‘odd couple’. But together their blend of skills and understanding has seen some historians suggest that they were the supreme practitioners of tactical air power. Over the period from the point the Third Army became operational on 1 August 1944 until the end of the war Patton’s troops covered more ground, took more enemy prisoners and suffered more casualties than any other army operating in North-West Europe. While other tactical air commanders were also to help re-write the doctrine manuals, it was Weyland working with Patton that really helped provide the foundations for future uses of tactical air power. Today in Afghanistan the role of the Forward Air Controller (FAC) is built upon the ideas applied by Weyland and Patton. It was not until the dawn of the missile age that an era of more precise application of air power can be detected. As the first century of air power moved close to the end of its first fifty years it was the Israeli Air Force that became one of its foremost practitioners. Of all the advocates of air power the Israeli Air Force is one of the most important to examine. For a country that has spent a significant period of its short life surrounded by hostile states and groups acting as proxies for states, such as Hezbollah, the Israeli Air Force has traditionally relied on its tactical air power to provide an advantage on the battlefield. Israel’s pre-emptive attack on the Egyptian Air Force, called Operation Focus (Moked), at the start of the Six-Day War in 1967 can rightly be argued as one of the most decisive applications of tactical air power that had a strategic effect. This was not the indiscriminate application of inaccurate bombers targeting Egyptian cities to strike fear into the local population. This was an accurate application of tactical air power at the outset of a brief campaign. The destruction of most of the Egyptian Air Force on the ground, a viewpoint still challenged by Egypt today, saw the most powerful Arab air force effectively removed from the forthcoming war in a matter of hours. It was a body blow to the Egyptians and their allies from which they did not recover. The whole venture undertaken by the Israeli Air Force was also risky as virtually every plane that could fly was involved in the initial strikes. A combination of things ensured Israel would achieve tactical surprise. The Israeli intelligence agency Mossad had used high-level agents placed in the high command of the Egyptian armed forces to monitor their preparations for war. A crucial double-agent also played his role in deceiving the Egyptians. The preparations for the initial attack had been exhaustive. Israeli pilots had been involved in a wide range of mission rehearsals. They had memorized each target. Ground crews were also well trained to ensure that a high sorties rate could be generated. Historical reports of Operation Focus suggest that the Israeli Air Force achieved a mission generation rate of four flights per day from its strike aircraft. The Egyptian Air Force operated at a tempo of around half that figure. This provided some compensation for the imbalances that existed in combat aircraft. Before the war Egypt had an air force that was estimated to consist of around 450 aircraft. 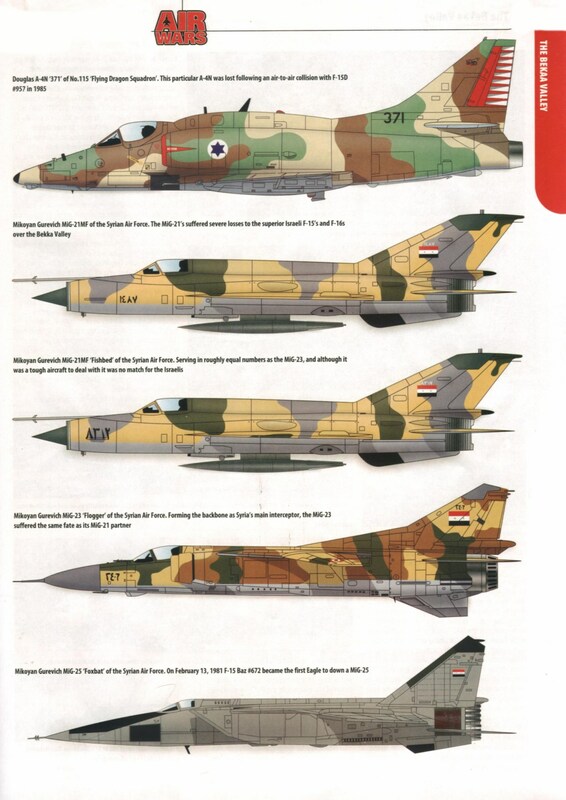 The balance of Tu-16s (NATO Code Name: Badger), forty IL-28s and a number of MiG-17, MiG-19 and MiG-21 fighters provided the Egyptian Air Force with what in 1967 was a formidable capability. For Israel to survive the impending war it simply had to neutralize the Egyptian Air Force on the ground in the opening hours of the war. By any account, no matter how disputed the claims and counter-claims may still be, the pre-emptive attack helped Israel secure a notable military victory in the Six-Day War. They had seen the spectre of war rising over the region and had decided to act first. That was the prelude to a phase of the confrontation between Israel and its neighbours that is often referred to as the War of Attrition. This is a part of history that again is often forgotten by amateur and professional historians. This was a period of eighteen months in which the Egyptians embarked upon a campaign on the ground and in the air that was designed to test the Israelis’ resolve and ability to hold on to the ground they had seized in the Six-Day War. The campaign made sense. For the Israelis the strategic landscape had significantly changed. They had moved from defending a number of rather small border areas with fractious neighbours into encroaching upon and seizing their land. While the borders with Lebanon, Syria and Jordan largely remained unchanged in terms of their length, the effect of capturing Sinai had significantly altered the length of the border. Of all the gains the vast swathes of the Sinai Desert were both a benefit and disadvantage. On the one hand it provided a buffer zone to which any future Egyptian incursion would have to travel to reach the old Israeli border. On the other it was a large area to defend. For the Egyptian military to embark upon a series of raids and military incursions designed to exhaust the Israelis was a sound military approach.